Mrs. Julia Mary Johnson Sullivan, widow of Rev. Warren H. Sullivan, Sr. and Mother of the late Warren H. Sullivan, Jr., passed on Friday, February 9,2018 peacefully surrounded by her family at her home. Mrs. Sullivan was born in Farrell, PA to the late John Wesley and Agnes Williams Johnson. At an early age, she moved from Pennsylvania to Cheraw, South Carolina to be raised by her Aunt Julia and Cousin Alice Wilson. While in Cheraw, she attended Pee Dee Union Baptist Church, where she sang on the choir. She graduated from Cheraw High School, and after attending high school she went on to graduate from Morris College in the Class of 1943, with a Bachelor of Arts Degree in Childhood Education. In December 1947, she was united in holy matrimony to Warren H. Sullivan in Cheraw, South Carolina. After marriage she moved from Cheraw to the Greer to live. Under this marriage came a son, Warren H. Sullivan, Jr. While living in Greer, she moved her church membership to Maple Creek Missionary Baptist Church. 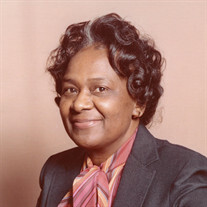 While a being a member of Maple Creek, she served as a Deaconess, Sunday school teacher, member of the Senior Choir, member of the Missionary Society, and member of the WYA. After graduating college and moving to Greer, she began working in the school system as an elementary educator. Her first job brought her to New Bethel Elementary School in Woodruff, SC where she taught 3rd and 4th grades. After leaving New Bethel, she taught 3rd grade at Washington Elementary in Greenville, SC. Before retiring, she taught at Crestview Elementary. After retiring, she opened up a floral shop, located in the Greentown Community called Community Florist. In 1948, she along with her husband and brother-in-laws became the pillars for Sullivan Bros. Funeral Home located in the back of her father-in-law's home located off of Rose St., in the Greentown community. When Rev. Sullivan was called into ministry, she became the Pastor's wife of Gethsemane Baptist Church in Greenville, SC, Mayfield Chapel Baptist Church in Duncan, SC, and New Trinity Baptist Church in Wellford, SC. As Mrs. Sullivan age continued to grow, her love for helping others never stopped. She was always a ray of sunshine in the community and to all that knew and came in contact with her. Her memory will forever live on the legacy she leaves behind to include her grandchildren: Jessica Sullivan, Warren H. Sullivan, III and Wm Maurice (Rochelle) Sullivan; great-grandchildren Jaiden, Lauren and Weston; special nieces, nephew, cousins, daughter-in-law Kathy Sullivan, loved ones and friends. Mrs. Sullivan was the last surviving member of her immediate family. She was preceded in death by her son Warren H. Sullivan, Jr., siblings Marion (Howard) Jackson, Alice Ford and Lucille Johnson. Funeral service will be Thursday, February 15, 2018 at 11:00 AM at Maple Creek Missionary Baptist Church with burial in Wood Memorial Garden. Mrs. Sullivan will be available for viewing Wednesday, February 14, 2018 beginning at 1:00 PM until 7:00 PM, and a special viewing will take place in the drive thru window from 7:00 PM until 8:00 PM. A very special thank you is extended to Birdie Gist, Open Arms Hospice, Annie Jean Gaffney, Jennifer Glenn, and the Staff of Sullivan Bros. Mortuary for the care provided to Mrs. Sullivan.